Cakes of ice are still flowing freely under the Veterans Memorial Bridge at Towanda on Thursday. 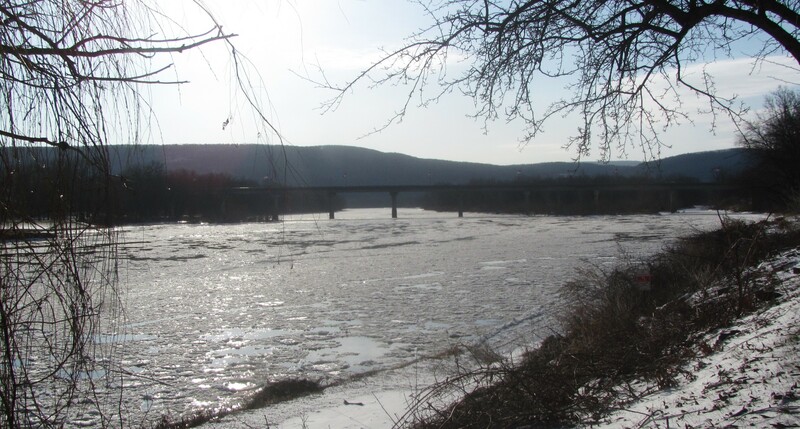 Will it stay cold long enough for the Susquehanna River to freeze over like it did last year? According to www.waynesweatherworld.net, Monday is the only day between now and next Wednesday that the day time high might get higher than 32 degrees, increasing the chances of the ice collecting and forming contiguous masses. Recreationists are reminded that what may appear to be solid ice can actually be quite dangerous. Lifelong cold weather anglers know where the slower backwaters and eddies form legitimate ice shelves that can be fished more safely.